Dearly beloved, like many others I am mourning the loss of the iconic talent known as Prince. Despite being a heterosexual male his flamboyant style made him a gender bender offender and this rock fashion Royal wasn't apologetic about that in the slightest. I've mentioned previously (after the passing of another rock icon, David Bowie) that acts of creativity can be the best kind of therapy for someone who's grieving so of course I had to paint Prince's portrait and yes of course I had to use a purple palette for this. My husband Eddie said I've created a watercolor cemetery for dead celebrities but he exaggerates. I've just illustrated the ones I've personally mourned as a fan. They include Bowie, Joan Rivers, designer L'Wren Scott and Amy Winehouse. 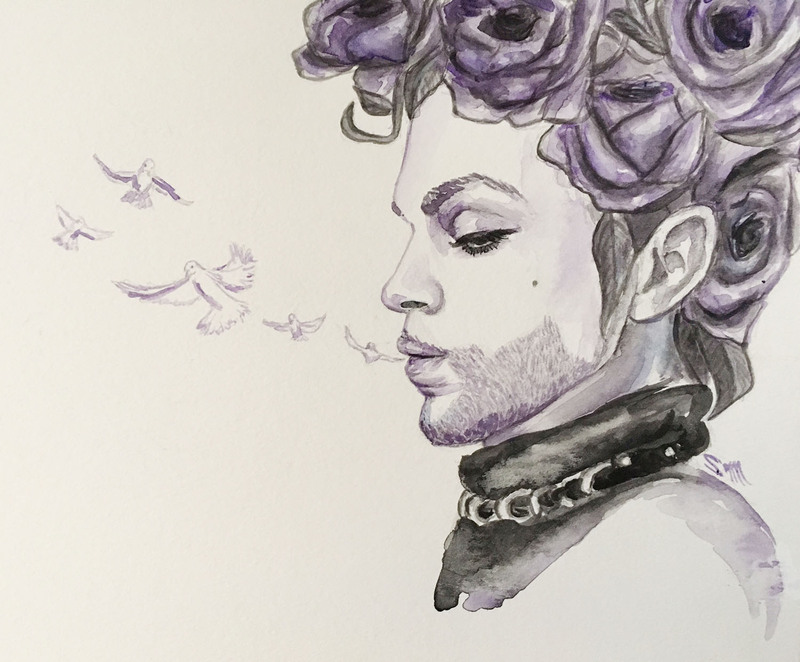 At any rate I think deaths like these — in particular Prince's — since he seemed to be in relatively good health for his age--can be jarring in general for the rest of us, and it's important to be appreciative of the time we do have to just be here and act on our creative compulsions no matter the obstacles.